Four Indigenous players will be among those hoping to win the most prestigious trophy when the National Hockey League’s playoff season kicks off on Wednesday. 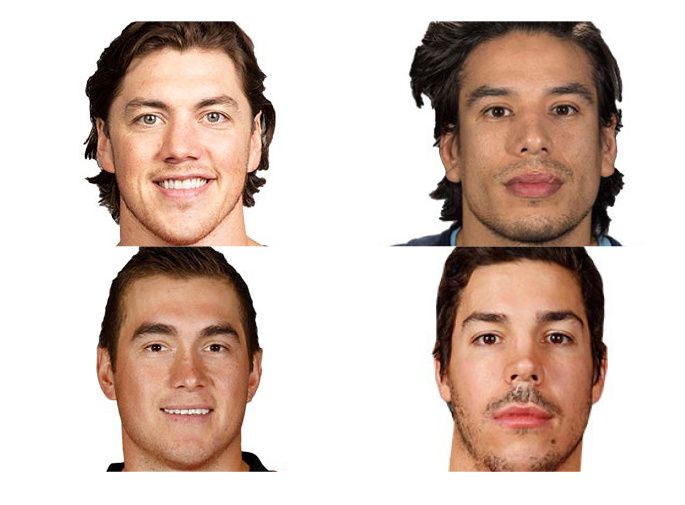 Two of these individuals, T.J. Oshie and Jordan Nolan, already have their names engraved on the Stanley Cup as they were members of previous league champions. Oshie, who has Ojibwe ancestry, is a member of the Washington Capitals, the 2018 Stanley Cup champs. Nolan, who is also Ojibwe, has two Stanley Cup rings. He was a member of the Los Angeles Kings when they won the league crown in 2012 and ’14. He’s now toiling with the St. Louis Blues. The two other Indigenous players who will be seeking to hoist the Stanley Cup this spring are Micheal Ferland, a Cree who is a forward with the Carolina Hurricanes, and Metis defenceman Travis Hamonic, who is a member of the Calgary Flames. If the Capitals are to defend their Stanley Cup title, they will once again need a strong post-season performance from T.J. Oshie, who was born in Mount Vernon, Washington. Oshie racked up 21 points (eight goals and 13 assists) in 24 playoff matches in 2018. The 32-year-old right winger has also had a solid 2018-19 regular season. He appeared in 69 games and collected 54 points. Oshie’s 25 goals were second on the team, behind only Capitals’ captain Alexander Ovechkin who had 51. Oshie is in his 11th season in the NHL and his fourth with Washington. He spent the first seven years of his pro career with the St. Louis Blues. As for this season, Oshie and his Washington teammates had an impressive campaign. They posted a record of 48-26-7-1 and finished atop the league’s Metropolitan Division. The Capitals will commence their playoff schedule on Thursday. Washington will host Ferland and his teammates with the Hurricanes in Game 1 of their best-of-seven divisional semi-final series. Jordan Nolan, a member of the Garden River First Nation in northern Ontario, will need plenty of things to go his way in order to have any Stanley Cup glory this season. That’s because the 29-year-old forward has spent the majority of the 2018-19 campaign with the Blues’ American Hockey League affiliate San Antonio Rampage. Nolan, however, did get called up and appeared in 14 regular season games with the Blues. He was credited with a pair of assists in those matches. Nolan, the son of former NHL player and coach Ted Nolan, finished off the regular season in San Antonio. And he is expected to be in the Rampage lineup for its opening playoff series versus the Texas Stars this week. If San Antonio does have an early playoff exit and the Blues are still playing, there’s a decent chance Nolan will be summoned to the NHL, especially because of his previous playoff experience. St. Louis will square off against the Winnipeg Jets in its Central Division semi-final series. Game 1 is Wednesday in Winnipeg. Micheal Ferland, a 26-year-old forward who was born in Swan River, Man., is in his sixth full pro season. But this marks his first year with the Hurricanes. Despite missing 11 games, Ferland finished fourth in team scoring picking up 40 points (17 goals and 23 assists) in 71 games. Ferland had spent the previous five seasons as a member of the Calgary Flames’ organization. The Flames traded him to Carolina last June in a five-player deal, which also saw defenceman Dougie Hamilton join the Hurricanes. No doubt Carolina will be hoping Ferland can regain his scoring touch. And quickly. He managed to score six goals in his first nine appearances with the Hurricanes this season. But he has been in a drought lately, not having scored in his last 17 games. Ferland’s last goal came back on Feb. 26 versus Los Angeles. Ferland and his teammates have the opening-round task of trying to knock off the defending league champion Capitals. Travis Hamonic, a 28-year-old blueliner who was born in St. Malo, Man., is in his second season with the Flames, one of three Canadian teams to qualify for this year’s playoffs. Winnipeg and the Toronto Maple Leafs are the only two other franchises from the country to advance to the post-season. Hamonic, a steadying presence on the Flames’ blueline, is in his ninth NHL season. He played seven years with the New York Islanders before being traded to Calgary in June of 2017. Hamonic was credited with 11 points, including one goal, in 74 games with the Flames last year. This season he boosted his offensive production and collected 19 points, including seven goals, in 69 matches. The Flames will begin their post-season, a Pacific Division semi-final series, on Thursday at home against the Colorado Avalanche.